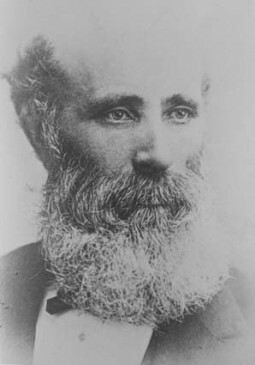 Barnet was born in Scotland but lived all his Australian years in Glebe (Derwent Street in 1865) and Forest Lodge (Braeside, now demolished – where Officeworks now stands on the corner of Parramatta Road and Ross Street). He was Edmund Blacket’s Clerk of Works on the foundations of the Randwick Asylum and went on to undertake the same role when Blacket was working on the Sydney University buildings. Barnet held the post of Colonial Architect for 25 years during the post-Gold Rush period when the demand across the state for civic buildings was high. Graham Jahn notes Barnet was regarded as a technological innovator and able administrator “who established a pattern of organisation which was to become the prototype for future large architectural offices”. On the Early Glebe Architects walk, Barnet’s group of civic buildings, the Court House, the Police Station and the former Post Office, are featured. For more information, see the Glebe Society web site: ‘James Johnstone Barnet’.